Check Mafia 3 system Requirements for your PC or Laptop. 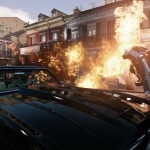 Mafia 3 is set to be released in the Q4 of 2016, Mafia 3 needs modern and much Powerful PC to Run on Higher Video Settings. The ambition of Hangar 13 and 2k Games is to make the game more realistic and Powerful than its Previous squeals, the map, characters and the Missions of Mafia 3 is extended to make this game perfect and more enjoyable. Mafia 3 is the Most awaited game in this year, the Publisher were teasing the Gamers since 28 July, 2015 by publishing the Trailer of the game. Check Your System requirements Below and Download the Game when it releases.